As of April 8th 2019 – I’m back and updates are happening daily! Much more to come! This site is about helping agents and brokers decide which Real Estate CRM Software is right for you with reviews/ratings to help and then helping you implement it if desired. They are referred to by many names. Real Estate Contact Management, Real Estate Customer Relationship Management, Client Management, Contact Management, Contact Managers, CMS, CMR, Real Estate Sales Tracking, Sales Management, Marketing Management, BPM, Business Process Management, or Database Managers. Call them what you will, they are tools to help you provide better service to your clients, follow up with contacts, get more referrals, market to your database, manage transactions, reduce your stress, make you a better Realtor®, and gain the respect of your peers. When I started in 1987 the term CRM was never used in real estate. Everyone called them Contact Managers. I started using and promoting the term CRM years ago, and now it’s morphing again. Many want more than just a CRM. More attention is being paid to Activity Plans. CRMs are specializing more than they were and one of the trends is towards Workflows, which are the new and improved Activity Plans. And it seems that the term Workflow may not last long as I have seen the term Process Management being more commonly used and it is probably a more apt term. The upshot is that it is getting faster and easier to automate the processes in your business, and not to do it is to concede business to those who do, not to mention those guys having more time for golf. 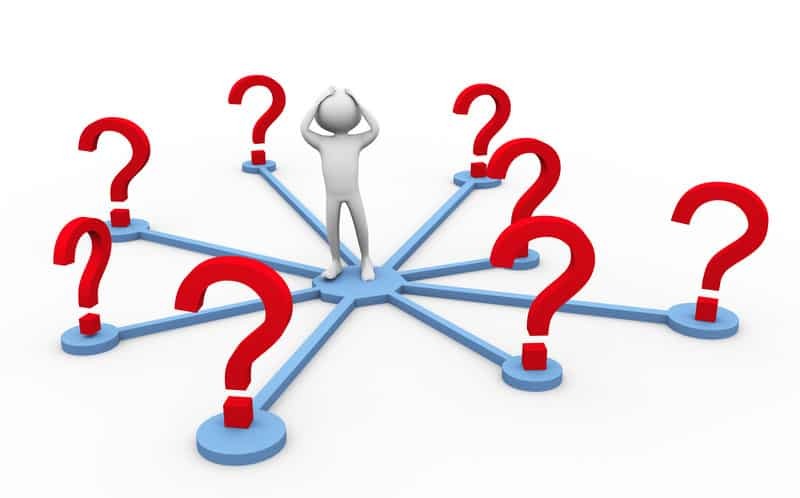 Choosing Customer Relationship Management software is a big decision. Shouldn’t it be a well informed one? Here you can learn what features exist in CRMs and how to use them. Too many choices? Schedule a call here to screen share and help you learn, compare, trial and purchase. Everything you need is right here. Guaranteed! You will not find better prices or terms anywhere else on any CRM on this site. In most cases you will do better here, but never worse, and that includes on the vendor’s site. Reduce your learning curve or learn how to use your Customer Relationship Management software better. Screen share with me & make it happen! CRM – Customer Relationship Management? It ain’t what it used to be. Workflows and Process Automation are changing from the old Activity Plans that are doubling a team’s efficiency. I have been speaking to groups and presenting Webinars on CRM since 1992. Bring me to your function for one of the most popular subjects in real estate sales today. Email’s, Letters, Activity Plans, Post Cards, Blog Content, Transaction Follow-up and more. Celebrating 20 Years Helping Agents, Teams and Brokers! Let’s start with the premise that there is no best Real Estate CRM, because everyone has different needs. You have essentially four choices when you’re looking for Real Estate CRM software online. 1) There are the Real Estate CRM vendors’ sites themselves. Obviously they are going to recommend theirs because it’s the only product they have. You certainly can’t blame them for trying to sell their product, but one size does not fit all. 2) There are a a few different kinds of sites that sell selections of Real Estate CRM software. A couple even have someone you can talk to about them. More reviews and articles are being written as well. Here are some thoughts though. If they are recommending/reviewing a lot of generic CRMs and not Real Estate specific CRMs, how much if anything do they know about Real Estate CRM software? Ask them if they have ever been an agent and used Real Estate specific CRM software. Are they familiar with all of the best options among the dozens of Real Estate CRMs that are available, or are they only aware of a few? Ask them if they have ever been an agent selling 40 or 50 or more homes each year, not just had a license. Essentially you want to find out if they are truly qualified to offer an informed opinion, or are they an instant expert. Being a real estate technology expert does not necessarily mean they know a lot about CRM specifically. That has been made painfully obvious with some of the reviews I have seen. CRM has been a trending topic for the last couple years so there are now more articles and reviews being written on the subject. They all essentially say something along the lines of “after a great deal of extensive research”. My questions would be: Done over what period of time? A few hours before they wrote the article? Maybe a whole solid week of research before they wrote the article or review? My opinions have been formed initially as an agent using a DOS Real Estate CRM called Real Estate Specialist in 1988. I’ve been watching literally all of them as they came out, and using several of them personally since then. I was very much into CRM as an agent since 1988, but this has been virtually my sole niche focus since 2006. My opinion is that generic CRM software wastes your time in many ways. For 99.0% of Real Estate agents, a CRM built for Real Estate is going to be much easier to learn and use than a generic CRM. If that were not true, I would sell many of the generic CRMs as well. That’s why with two exceptions, you will only see Real Estate CRM software here. For more on this topic please read this excerpt from my book. 3) There are coaches that recommend one specific CRM. This probably the best case scenario of the previous two because they typically teach using it as well. The only issue here is that, as stated earlier, there is no one CRM that is best for everyone. For a coach to say “I think this is the best one”, they are really saying “this is the one I chose”. What is being left unsaid there is “…but I can’t really say this is the best one for you”. 4) There is this site. Over 20 different kinds of Real Estate specific software with in-depth reviews and information about each one. Gary has personally spent hundreds of hours over the last decade with the CEOs and developers of all of these CRMs and many more to understand these CRMs and create these reviews. Additionally there are tools to learn about CRMs in general as well as many other benefits here. All about Real Estate CRM! This site has been dedicated to being the most comprehensive Real Estate CRM site in the world since 1999. Has been working with the owners and developers of most of them since they opened their doors (and some before). The goal of this site is to be the ultimate destination for anyone looking for their first Real Estate CRM, considering a move to another one, or needing help with what you have. You will find more information here than anywhere else on the internet. Research to your hearts content and when you’re ready to trial or purchase a Real Estate CRM, do it here with confidence. In either case you will not find better prices or terms anywhere on the internet for any of the products offered here. This is an absolute guarantee! In most cases the prices and terms will be better because there are many discounted prices and extended trials here.